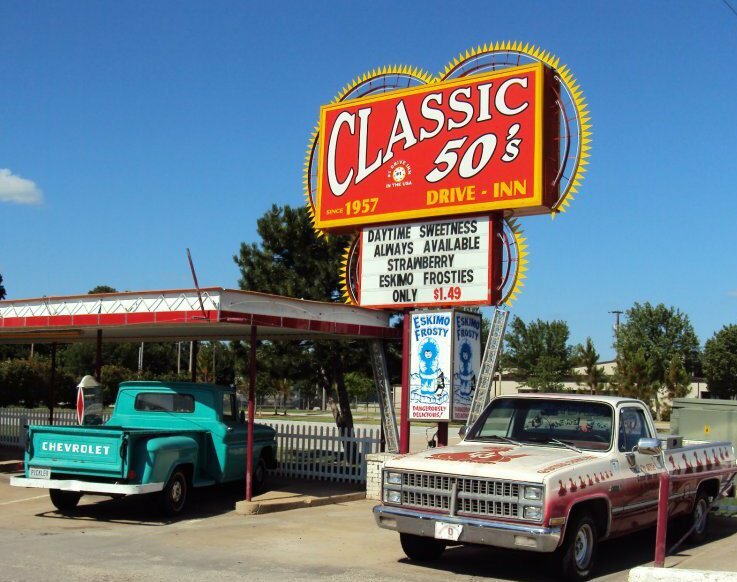 Located in Norman, Classic 50’s Drive-In offers traditional American drive-in favorites. 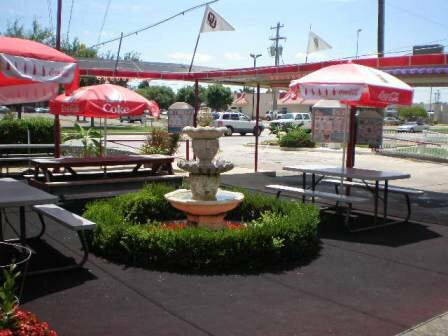 Order the yummy fried pickles with or jalapeno cheddar bites for a snack, or go for a classic burger. Turn up the heat with the jalapeno cheeseburger, or go all in with the double bacon cheeseburger that packs a serious flavor punch. 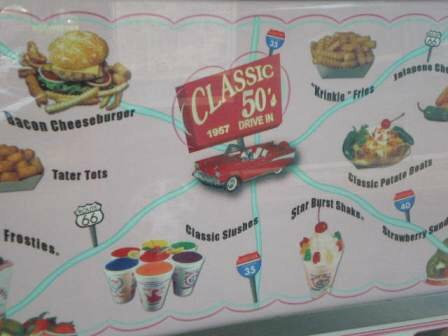 You’ll also find other nostalgic eats like coneys, fish or chicken sandwiches, chicken strip dinners, potato boats with a variety of toppings, tater tots, onion rings, and more. 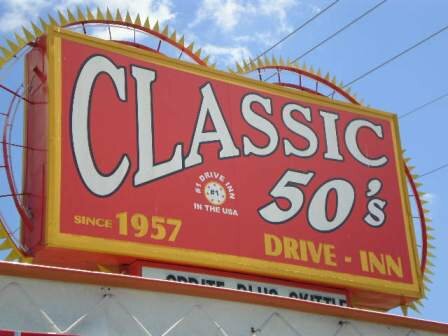 Classic 50’s Drive-In offers an array of drinks to quench your thirst, from flavored slushes to soda, as well as delightful desserts such as the Eskimo Frosty, sundaes, milkshakes, malts and more. 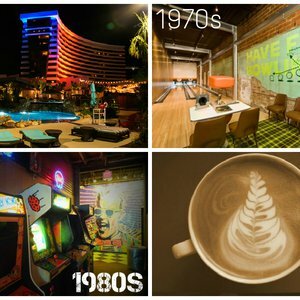 The drive-in also offers a regular happy hour that you’ll want to take advantage of for some midday refreshment. Located on W Lindsey St approx. one block east of McGee Dr.